Drivers interested in a light-duty SUV look towards the 2018 Honda HR-V and the 2018 Toyota C-HR, and while both provide a unique style that drivers enjoy, only the HR-V delivers the performance features and spaciousness Kamuela drivers prefer. Check out our 2018 Honda HR-V vs. 2018 Toyota C-HR comparison below to see how else these two family vehicles differ! The 2018 Honda HR-V has more interior conveniences and space than the C-HR, making it the better overall choice. For starters, the HR-V allows adults to comfortably fit in the back seat and have ample head and leg room. The C-HR, on the other hand, has taller rear seats which limits the amount of space everyone has, creating a less comfortable ride. The Honda also has a Magic Seat, which folds and flips the rear seats for enhanced rear storage. As for the C-HR, you’re only able to fold the rear seats flat, and you won’t have as much cargo space. Find Out More at Big Island Honda! When you’re ready to choose the 2018 Honda HR-V vs. the 2018 Toyota C-HR, be sure to visit Fletcher Jones Big Island Honda in Hilo or Kailua-Kona. While here, feel free to peruse our inventory and compare the HR-V vs. the competition, including the Toyota C-HR or even the Mazda CX-3. 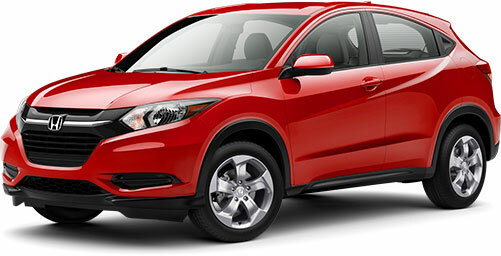 You can also compare the HR-V to other Honda models, like the CR-V! Contact us today to find out more about our current offers or to schedule your test drive.